Jesse Mullan » Merry… Christmas? 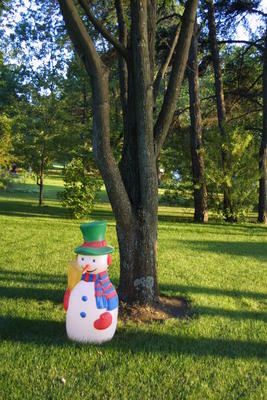 At some point in the night we played out own version of Bacchi ball, where everyone throws at once, and the tiny ball was marked by this snowman. The best part was seeing the snowman fly up into the air. I had no idea who was on my “team,” but it was super fun and stuff. At some point I just clocked the snowman in the head with a ball. I don’t think that you’re supposed to throw overhanded. Ahem.